January. 2007. Rangers were heavily linked with Hibernian’s Kevin Thomson and Walter Smith secured his man in a £2M deal. Summer. 2007. Rangers were even more heavily linked with Hibs’ Steven Whittaker and Killie’s Steven Naismith – they managed both, with the latter being a deadline day acquisition. These were the days of Rangers hoovering up the best of the SPL, from every team other than Celtic, of course, and strengthening our squad and first XI to dramatic effect. And if the past 12+ months are to be taken seriously, Rangers are back in that zone again, with the act of taking the best talent the SPL has to offer, just like Celtic had continued to do in Rangers’ SPL absence. Summer 2017 – Aberdeen’s captain Ryan Jack on a free. January 2018 – Hamilton’s Greg Docherty for £700k. Summer 2018 – Hearts’ Kyle Lafferty for £700K. And this January has seen Dundee’s Glen Kamara and Kilmarnock’s Jordan Jones follow suit. 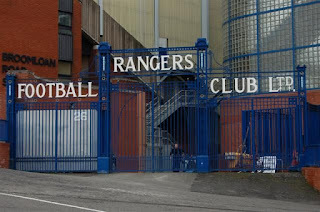 Rangers, slowly but surely, are just starting to flex their SPL muscles and get their men again. There have been exceptions – Aberdeen’s Kenny McLean and Hearts’ Jamie Walker didn’t happen, in both cases out of spite, but more often than not these days, it’s back to the good old times when Rangers sucked up the best of the SPL and compounded it with some quality imports from England and overseas. It’s been subtle, but it’s always been the way Rangers operated and it was conspicuous by its absence in recent years throughout the Journey. The best we got then was some journeymen like David Templeton and Ian Black, but now it’s back to securing the better players in the SPL. It’s what the best teams in every league do – they look close to home for the best talent before expanding horizons overseas to other leagues, and it’s been sorely missed at Ibrox. Bet the majority of us didn’t even notice it was back to the old ways! I'm not overly enthused at Kamera and Jones. Camera isn't even loved by Dundee fans. Jack divides opinion and Docherty is never Rangers class. There's not many out there I'd take. Berea at Hearts, Kamberi Hibs, Shinnie Aberdeen the exceptions. 'Kamara' was loved by Dundee fans till he downed tools some months ago nearing the end of his contract. Jack doesn't divide opinion at all. And most fans would disagree with you on Docherty. You believe Christophe Berra is a better defender than any we have?! Are you really a Rangers fan? Your not a rangers fan go comment on your own club. Berra is better than Worrall. Kamara will be no more than than a squad filler if even that. Let me rephrase. Jack divides opinion until 29th December. Unless Docherty has improved five fold with Shrewsbury he's not cutting it at Ibrox. I`m not convinced by Kamara and Jones because I don`t believe there are any players in the SPFL worth signing but they are ours now so I will support them . Berra and Shinnie are just two thugs allowed to kick and foul their way through every game , except when wee Alfie sorted Berra out .Kamberi is an average striker who has score a couple of goals but not good enough for us.